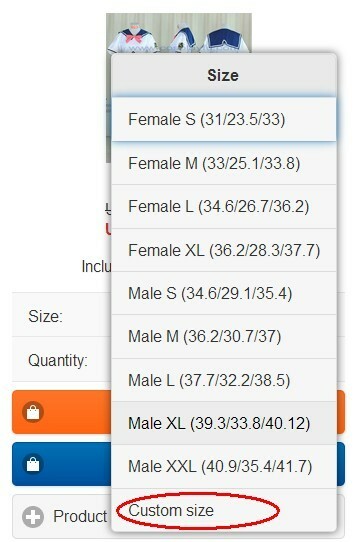 1.Choose ‘Custom size’ in size option. *If there is no custom size option, please submit ticket at http://m.cosplayfu.com/support/index.php?a=add and let our tailors check if they can make for you. *Custom size costumes does not charge extra cost, but the proceed time will be longer than fixed size costumes. 2.Measure & fill in the size you’d like to have, input quantity, and click ‘Buy it now’. *Size can be measure in inch (1 inch = 2.54 cm) or cm. 3.Click to edit your data. 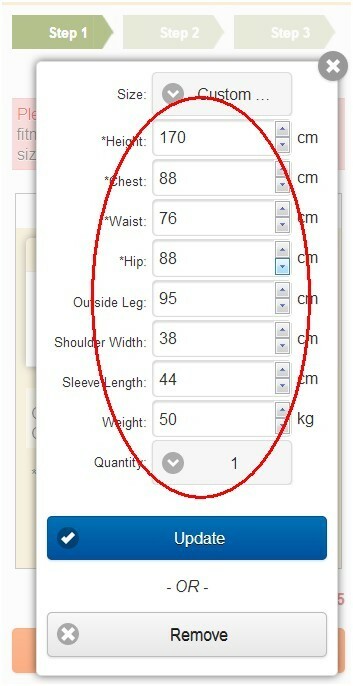 4.The custom size you required will be shown, check & make sure the size is correct. If you change nothing, click .If you change some data, please click ‘Update’. 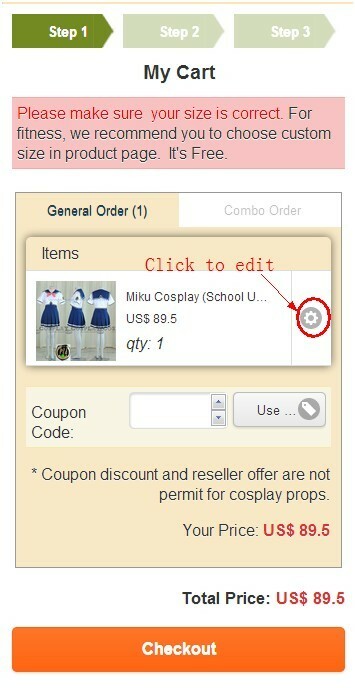 5.Click ‘Checkout’, then you can proceed the order as normal.